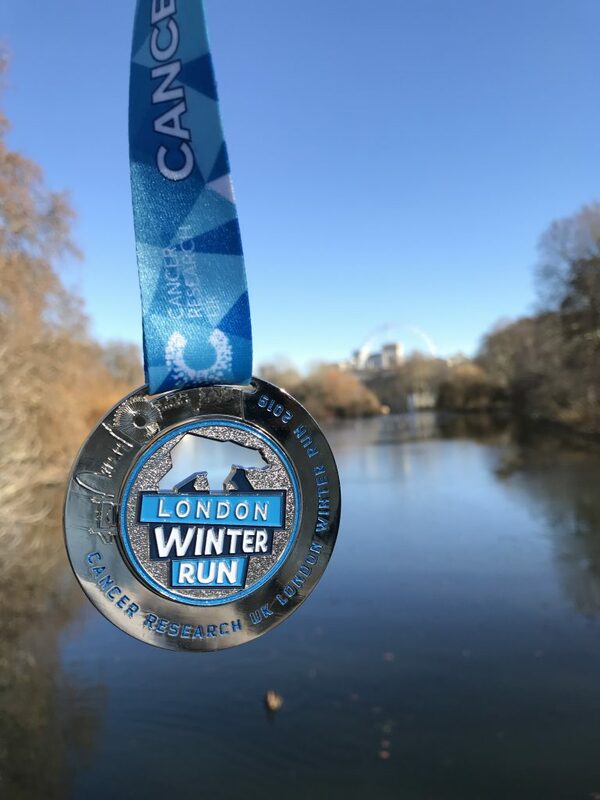 The 2019 London Winter 10k Race saw the 5th edition of the run in association with the charity Cancer Research UK. 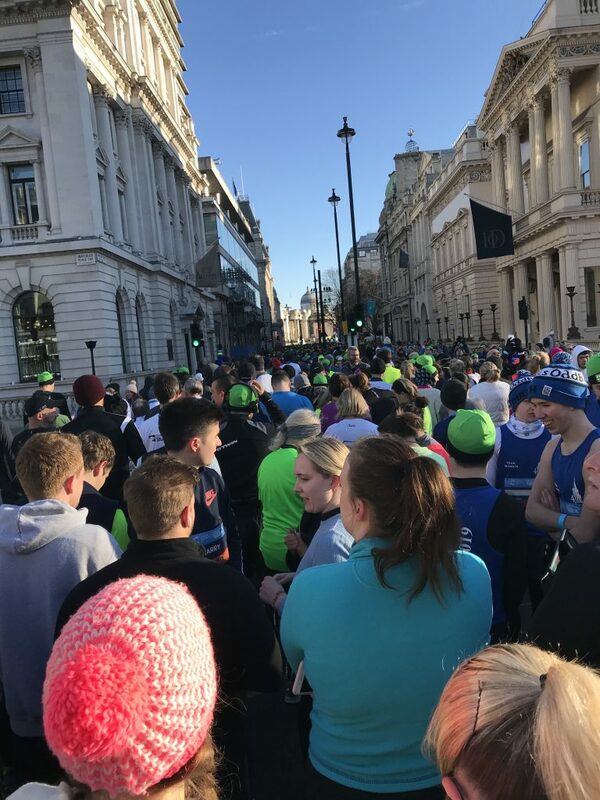 The 10k run will start in the famous Trafalgar Square and will head past Nelson’s Column, along the Strand past the world-renowned Adelphi Theatre and The Savoy hotel. 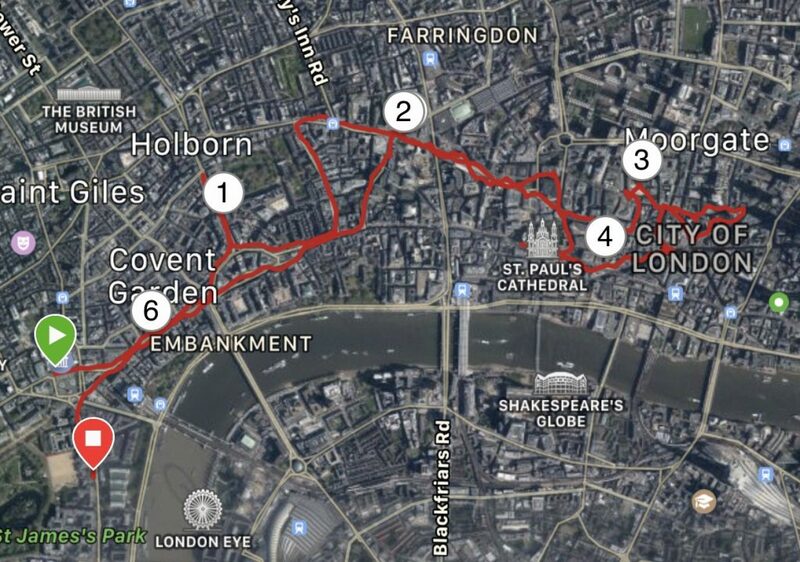 The route will then take them past The Royal Courts of Justice, through the City of London and up Chancery Lane, runners will then pass Chancery Lane Tube Station before continuing to the London Stock Exchange. Onto the medieval Cheapside, participants will continue down the fast and flat course pass St Mary Le Bow church. Setting off for home the runners will loop around the Bank of England, past the much loved Penguin Party. Next up comes Mansion House before taking in the sights of the prestigious St Pauls Cathedral. From here, the runners will continue to circle back round to the Royal Courts of Justice for the second time, before passing Kings College London, Somerset House and onto Charing Cross Station. Taking a left down Whitehall they come to a finish just before Westminster and Downing Street. There was no shortage of entertainment around the course. The characters around were brilliant and entertaining and to the tune of ‘who let the dogs out’ were the Huskies, all lined up ready to give encouragement and high fives. There were also penguins, polar bears and choir singers, there was never a dull moment! Getting to run around London. That’s it, that’s a reason enough right! Perhaps one slight grievance I had was at the finish line. They hand you SO many things like water, coconut water, Soreen, the medal, a protein bar and I just couldn’t carry it all. 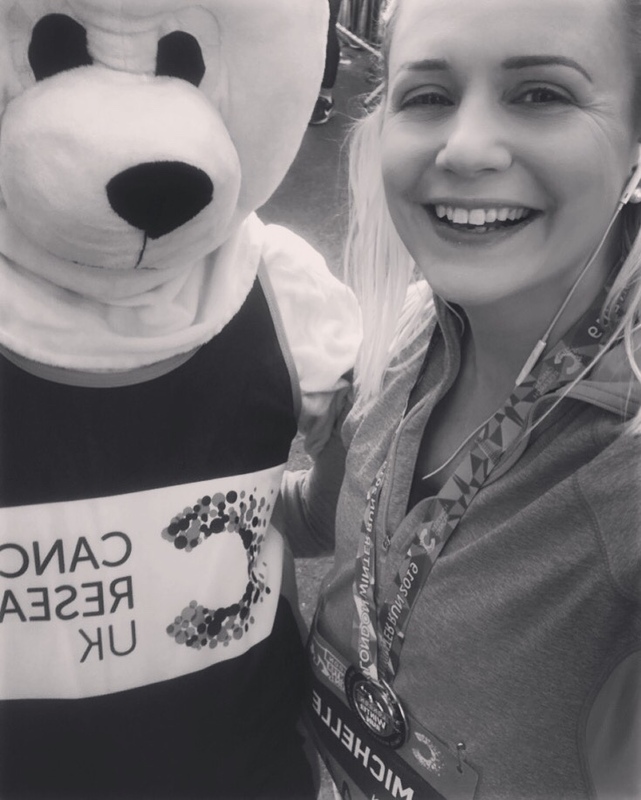 A handy goodie-bag would have been a godsend and I wouldn’t have had to have put all of these items down to take a photo with one of the polar bears at the finish line! People from higher numbered waves were entering into the earlier waves and I honestly thought there are so many people it’s going to be chaos but it wasn’t. One of the worst races for crowds is any race event in Bristol. You have to wait such a long time before you can get going and even then it’s crowded, you get stuck behind slower runners easily but not at this race. They called waves when they were ready for them so there was no huge line to the start. 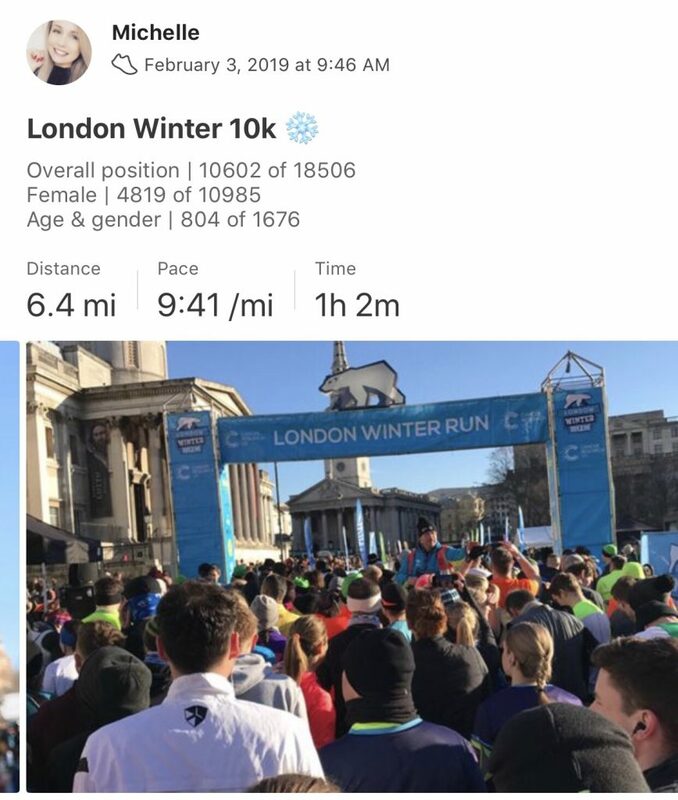 The London Winter 10k would be an ideal race for first-time runners for so many reasons. The course is flat, there’s endless motivation and encouragement around the course, it’s well organised, the medal is super cute and this is what a race day should be like! Twenty thousand people signed up for this race and it’s easy to see why it’s so popular. 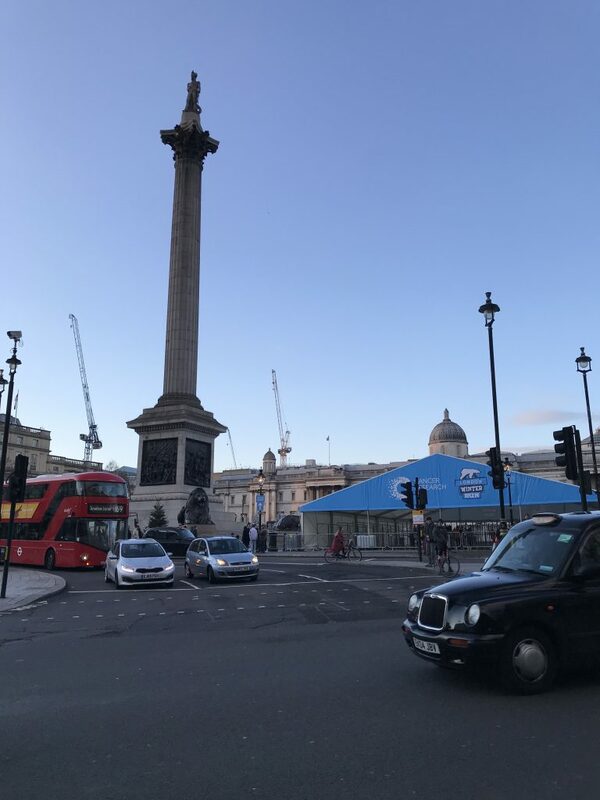 Not only do you get to experience the thrill of running in the capital city of England but you get to enjoy some of the famous landmarks right here too. It’s likely many people won’t get into the London Marathon ballot, despite years of applications, but this is a miniature version of what you can expect. Flawless, brilliant, tons of entertainment once you’re through and if you’ve brought a spectator with you (how could you not) they won’t be bored for a minute. The ‘hanging-around’ time was minimal and they kept to the race start times for the waves. Would I run the race again? 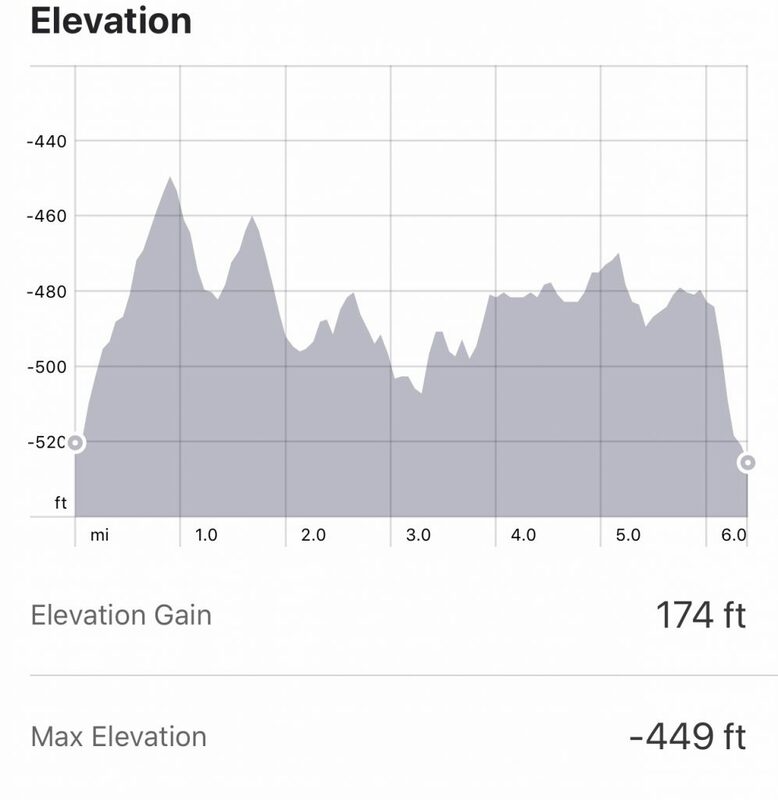 Absolutely 100%, I’ve already signed up for the pre-registration for 2020 and I’m hankering for under the hour if not an all-time PB next time! Please note that the above opinions on the race are my own and based upon my own running skill level (I would consider myself to be an average runner). 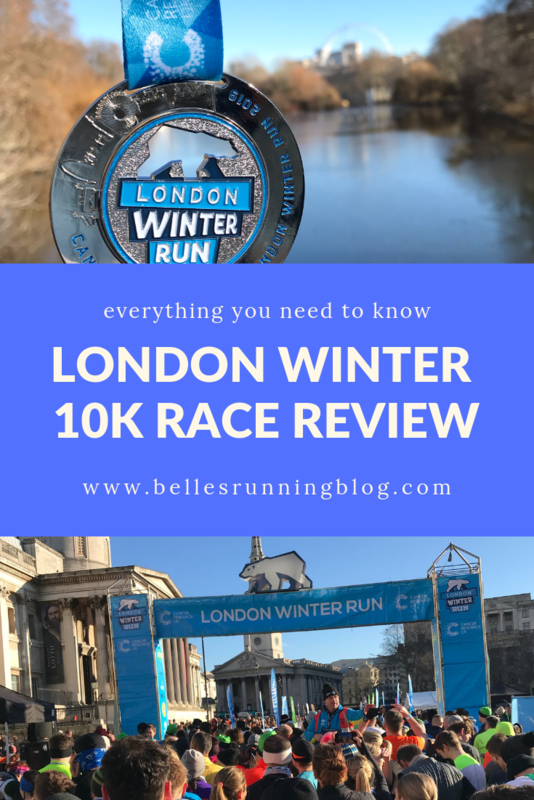 While I’ve made every effort to ensure anything contained within this post is accurate, please check the race organiser’s website for full information.